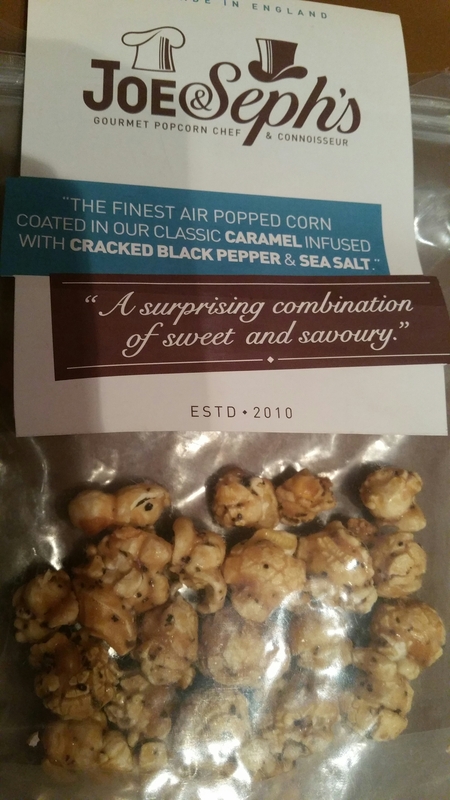 A while ago I was asked by the lovely people at Joe & Seph’s Gourmet Popcorn if I would come up with some recipes using their ridiculously scrumptious popcorn. I came up with this yummy strawberry mousse using their white chocolate and vanilla bean popcorn to make the crust base. They also asked if I could come up with a savoury dish using some of their savoury flavoured popcorn. This chicken is the result! 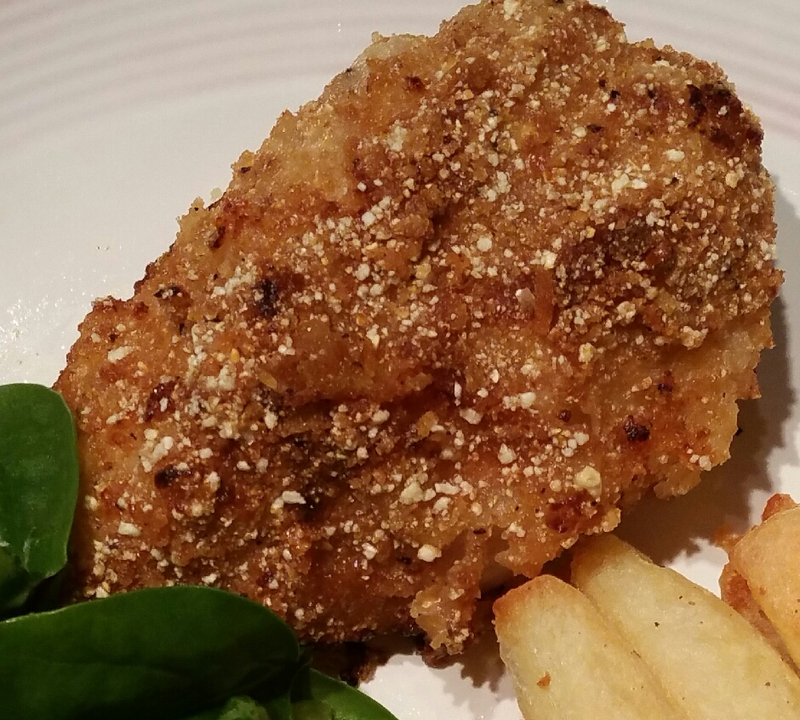 I have made Chicken Maryland on lots of occasions. It is a quick, easy, tasty meal for all the family to enjoy. The crust is usually made from toasted breadcrumbs, although I have also used crushed cornflakes in the past and that is just as good. I figured popcorn would work just as well. My son Luke wasn’t convinced so I had to agree to make him the usual breadcrumb version. My long-suffering Other Half Del wasn’t convinced either, a point he made well by getting the local Indian takeaway menu out “just in case”!!! Well, I can’t tell you how smug I felt as he polished off the lot and said it is now in his top 3 meals ever! Even Luke regretted asking for the breadcrumb version when he tried a bit of mine. I have to say, I will be making this A LOT now. I used the cracked black pepper and sea salt popcorn. I had tried some of it, (ok quite a bit of it *blush blush*), on its own and it is amazing! The flavours compliment each other perfectly! You can really taste the pepper but the sweetness of the caramel stops it from being overpowering. Joe & Seph’s make lots of other savoury flavours too, including goat’s cheese and black pepper, blue cheese with walnut and celery, olive oil with mozzarella and tomato… the list goes on. This chicken would work well with any of them. There is also an orange marmalade flavour which would be perfect, and which I will be using the next time I make this. Anyway, enough waffling, on with the recipe. The quantities I give are enough to serve 4 but there’s only 2 in my pictures (plus the boring old breadcrumb version for Luke). Put the flour on to a small plate or dish. 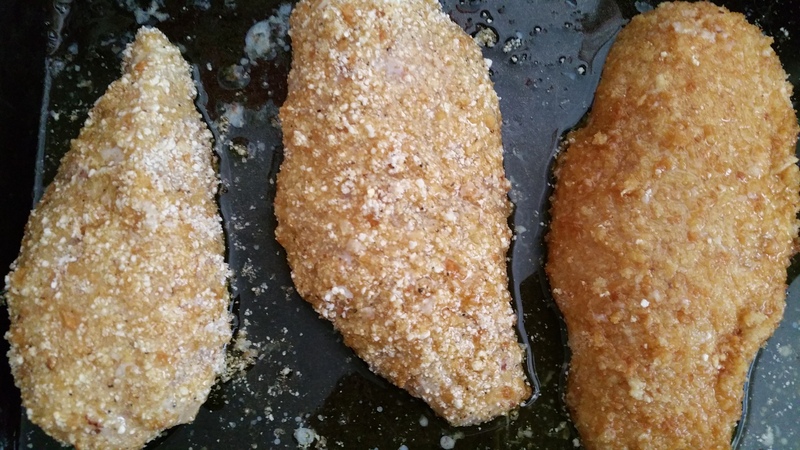 Dip the chicken in to the milk, then place on to the flour, turning until the chicken is completely coated in flour. Place on a plate and leave for 10 minutes. 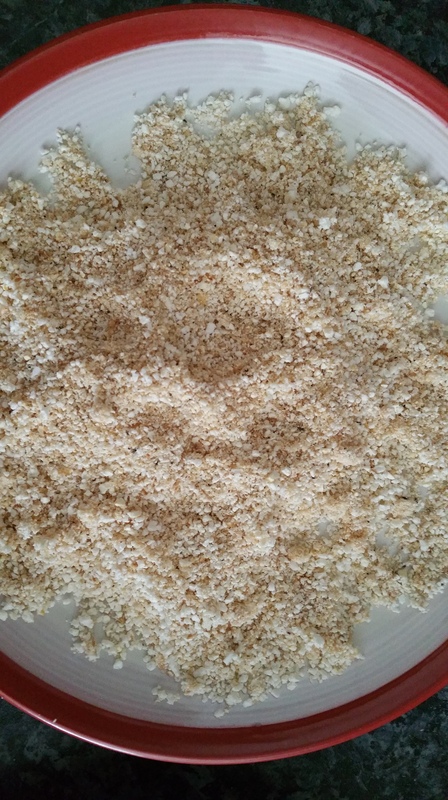 Put the popcorn into a food processor and blitz until it resembles breadcrumbs. Place on to a plate. Dip the chicken back in to the milk, then toss it around on the plate of popcorn until completely covered. Put the butter and oil into a roasting dish and place in the oven until the butter has melted. When it is melted, transfer the chicken to the dish, and then baste the chicken with the butter. Luke’s boring chicken is the one on the right. Place in the centre of the oven and cook for 25-30 minutes, until the crust has gone lovely and golden and the chicken is cooked through. Put on to kitchen paper to drain the butter from underneath. Serve and enjoy! 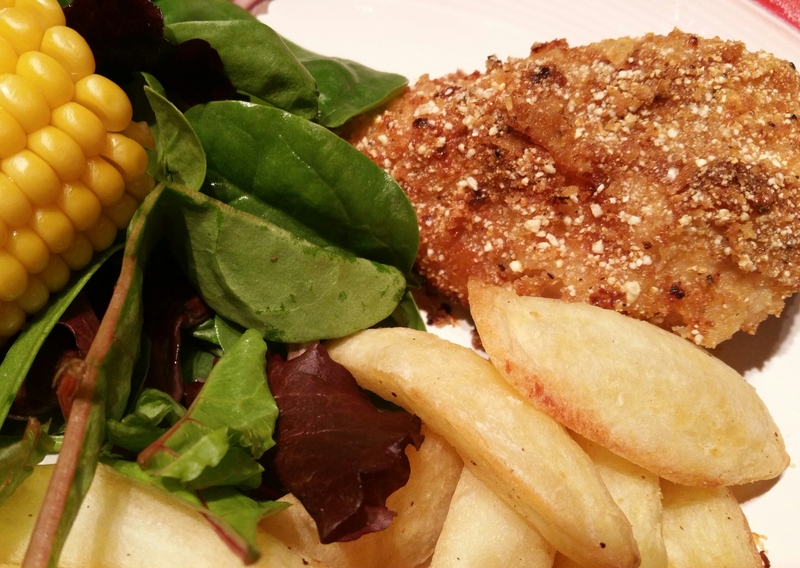 I served ours with chips made in the Actifry, salad and corn-on-the-cob. It was absolutely delicious. I’ll definitely be making this again and again so need to get my order in with Joe & Seph’s! If you would like to try this recipe (and I promise you, you’ll love it) click here to go to their website. If you make it using a different flavour of popcorn, I’d love to know which one you try.